Fresh from the mountains of Peru, Richard Durrant’s celebration of 30 years on the road will take place on 20 July at his home town venue – The Ropetackle in Shoreham-by-Sea. This will launch yet another whistle stop tour of the British Isles taking Richard from Nottingham villages to the Isle of Skye – complete with his enormous dog ‘Bollo’. 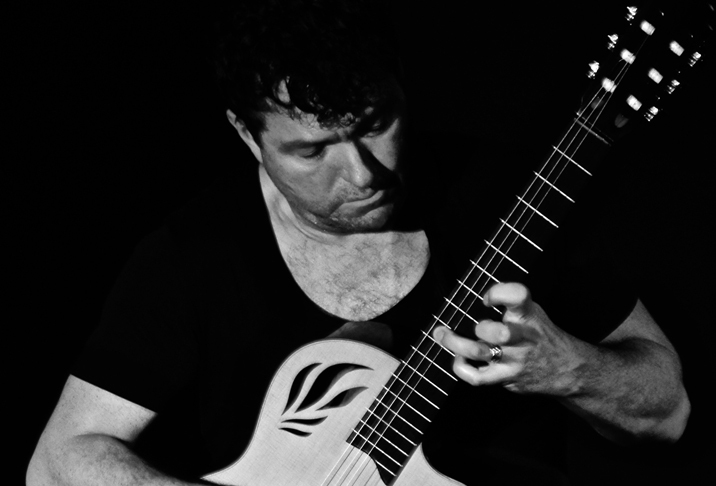 Many people have already discovered that Richard is no ordinary musician through his mesmerising Guitar Whisperer tour. On the eve of the summer holidays, enjoy a captivating evening of new exotic musical offerings from Spain, the Americas and the Sussex coast. 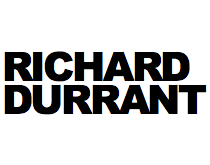 With his trademark beautiful lighting and projections Richard punctuates his incredible guitar playing with stories from a lifetime in music in a show that is joyfully virtuosic, at times deeply moving, and always hugely entertaining. One of the highlights of the launch event will be Richard’s long lost Clarinet Sonata. The original score was lost in 1984 and then was miraculously returned to Richard 30 years later – to be given its world premiere after 30 years – by clarinetist Jon Carnac and pianist Howard Beach. Howard will also be joining Richard to play Bach and Vivaldi on Harpsichord and Guitar along with some surprise guests joining Richard for the party. Another highlight with be the unveiling of the brand new ‘Uffington Guitar’. This incredible instrument has been specially commissioned by Richard from Sussex luthier Ian Chisholm and has been inspired by Berkshire’s magnificent prehistoric White Horse at Uffington. Richard says of the instrument: “This amazing new instrument has a magical, silvery sound bringing a new dimension to each concert. Exploring Bach on metal strings played with a plectrum is a fascinating experience!” From Shoreham-by-Sea Richard hits the road from a tour which includes Aslockton in Nottinghamshire, The Isle of Skye and Peebles in Scotland. Full details of the tour can be found here. Tickets for the Shoreham-on-Sea 30th anniversary event can be bought direct from the Ropetackle at www.ropetacklecentre.co.uk Tel: 01273 464440.